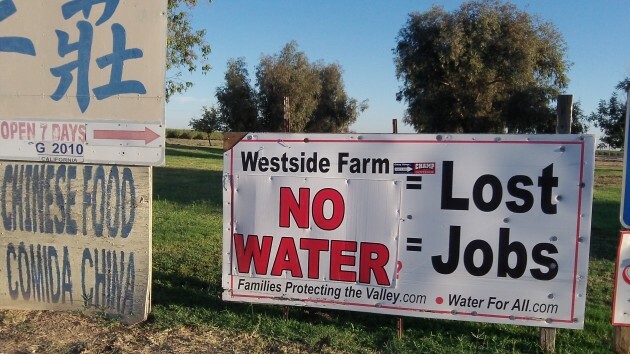 Signs like this remind travelers of the California water situation. While I’m taking a look at the California drought, word comes from Albany that the notion of a city sales tax on recreational marijuana is not quite dead. The proposed ordinance imposing this 10 percent levy on marijuana sales is on the agenda of the council’s regular meeting Wednesday for a first reading, so evidently the council majority did not shoot it down and bury it at Monday’s work session as prudence would have required. I understand that Councilors Bessie Johnson and Rich Kellum favor imposing the tax, even though city taxes are expressly prohibited in the initiative that, if passed Nov. 4, would legalize recreational pot. But City Manager Wes Hare told the council he thinks cities would have a better chance of getting revenue from legal marijuana through a legislative fix. That sounds like sensible advice. But then, you see this and wonder if the protest signs are not misplaced. Meanwhile, the California drought: The northern and central parts of California look no more parched than usual. The old signs in dusty fields — they’ve been there for a few years — blame politicians for misallocating water. But things are not as hopeless as they sound. At a truck-stop Denny’s in the San Joaquin Valley you can still get a glass of water. More important, Gov. Jerry Brown is pushing for a big bond issue Nov. 4 to pay for building new water infrastructure. That would include dams, according to the leader of a union that contributed heavily to the campaign to pass the bond. That’s according to a story in Monday’s Los Angeles Times. 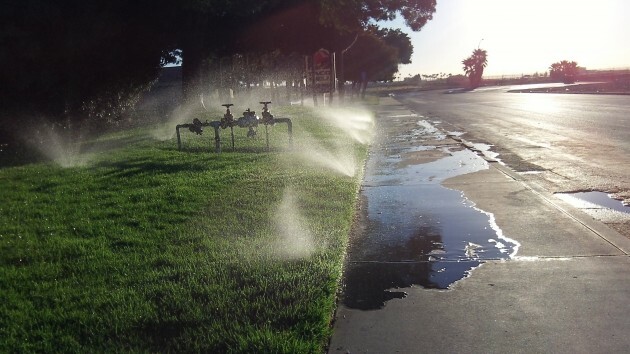 Also in the paper: Efforts are underway to develop new water sources, such as restoring the aquifer under the San Fernando Valley with heavily treated wastewater and converting on old power station in Huntington Beach as a desalinization plant. And economists did a simulation and found that even a prolonged megadrought of the kind that hit California many times over the past millennia would not wipe out the state. Urban lawns would disappear, sure, but civilization would survive. And even if California agriculture shrank to half of what it is today, it wouldn’t cripple the state’s economy because even now it makes up only 4 percent of it. As somebody in that story put it: In rural areas people will get poorer for a while, and then they’ll move. I wonder where they’ll go. 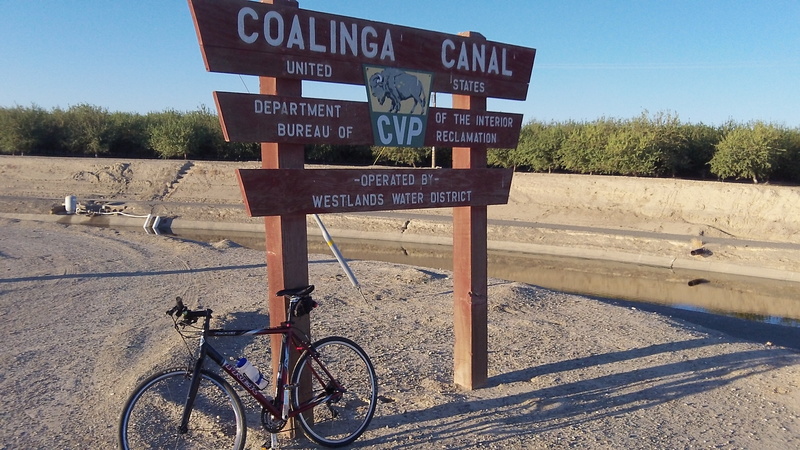 There’s still water in the Coalinga canal. The almond orchard in the back has drip irrigation.